So that’s my big question right now. I’ve completed my readthrough of Soul of the Scribe. I’m very happy with the way it ended. There’s still some room for improvements, but I’m going to do one final run through of Laura’s notes before I put into practice the old adage, “Art is never finished, only abandoned.” Otherwise, this story will never see the light of the day. Now the question is…what do I do with it? Agent: I love the idea of an agent. While it does cut into possible profits of a book, it frees me from the work of having to shop it around, stress, worry and generally freak out. I don’t have to hunt down publishers or send samples. That’s handled by the agent. And if you’re wondering, eventually, I would like to make some money off of this, but what I really want right now is a damn publishing credit. The goal isn’t money…it’s about seeing my name on the shelf of a bookstore. You might say it’s a small and narrow-sighted goal…but at the beginning, that’s all I want. Traditional: I’ve always liked traditional more than epublishing. The problem? Novellas (which is what Soul of the Scribe is at about 42K words) are rarely published in traditional media. All of my research points to that. And I’m so overwhelmed by the idea of WHERE to publish I don’t even know where to start. I did some networking contacts when I did OCCWF last year and some advice on it, but I’ve been dragging my feet. I’m really scared about that…but it might be one of those things I just need to buckle down and fight through. So that’s what’s really bothering me lately. I don’t know which way to go. The worst part? Everybody around me has a different opinion! EVERYBODY! And they all contradict. I’m leaning toward my wife’s idea…because I’ve always trusted my wife’s judgement over my own. Her idea was Traditional with an optional Agent. I like that idea. A lot. What else is going on? Hmmm…I don’t have a lot else to share at the moment. Except for something my wife said to me. Well, to end today’s post, I’m going to show you something I found the other day that I really like. I greatly enjoy positive and uplifting songs. Music has always moved me very well, even though I’ve not a musician. I’ve always felt that music is actually one of the most important pieces of any visual medium, be it theater, movies, TV, whatever. My mind always soars. But getting back to the point. Like I posted about Shooting Star last week, today is about Katy Perry’s “Firework.” I’ll be honest, I really like this song, but the music video was a little…odd. I get what was going on…but I found something better. I don’t think I need to explain what that actually means, so we’ll skip that part. But what I will say is that lately, those words of affirmation about my writing has been coming up in my head. Part of that is because I’ve been having a rough time at work. To add difficulties, Caitlyn has not been nice to Laura and I lately and it’s taking it’s toll on us. I won Honorable Mention in thousands of entries for the Blizzard writing contest. I’ve committed my life to raising an awesome child. I protect my wife even when all logic says back off. I’ve been told from COMMUNITY COLLEGE that I should be a pro writer. Even when the rest of the world is going to hell around me, I stick to what I believe. I got Genius after fighting for FIVE YEARS. And you know what? You can never take my imagination from me. I can do things in my mind and with the written word that makes every paltry sales goal look like a dim shadow forgotten in a new dawn. Why am I stating this? It’s not to be prideful. Because for every success, there’s a thousand failures in the shadows. But that’s where I want them to stay: in the shadows. I’ve found myself focusing too much on all the pain and misery and not enough on the positive aspects of life. I have an odd sort of memory, a memory that is sporadic at best. It’s why I keep a journal so religiously. Because if I don’t, I know I’ll forget the stuff that matters. I often regret not starting it earlier. I could have used it to process the stuff that happens in my life. My journal actually started August 3 years ago when I got a very bad review for the original “At the End of All Things.” I did it to process my emotions, since I was so devastated by it. I wonder if it’ll come easier in time, getting critical reviews of my works. Huh. Why am I going through all of this? To fight back. So my challenge to myself? Not to let gravity pull me down. The only problem with that is it’s a second-by-second battle. And it’s very easy to lose ground. So very easy. I’m pretty sure it’s impossible to pull it off, so I think I might ask for some divine help. Now that you’ve glimpsed my brain, let’s talk about writing shall we? Laura finished her readthrough of “Soul of the Scribe” and I’m about halfway through. It’s still a powerful story for me and I think it’s the best story I’ve ever written. I can’t wait to do something with it. Originally, I was going to work on some WoW short stories/flash fiction as a little side project, but I haven’t had the focus or motivation for that right now. But I’m going to change things up and stop doing my journal on all my breaks of the day. 15 minutes isn’t long to write, but I learned in NaNoWriMo that those 15 minutes do add up over time. That’s all I really have story-wise at the moment. Now, I think I’ll leave you with something positive to enjoy. So most of the days this week, I’ve been working on an audible edit of Soul of the Scribe, which I surprisingly haven’t done yet. At least, I don’t think I have. I’ve been futzing with this story for so long I don’t really remember. I’ve caught a lot of things. And Laura’s going through it as well, helping me with another edit. She’s been great in buckling down and actually reading on her days off. It’s nice to have her in my corner again with reading. However, today I had to take a break from that and work on my resume. I’m a bit paranoid about this sort of thing, so that’s all I’m saying. My challenge lately has been learning to balance everything. I kind of feel like my sanity is slipping quite quickly. I have stories in my head demanding to be told, but I also know if I don’t buckle down and do some blasted edits I’m never going to progress with this as anything other than a hobby. Then again, I also know if I don’t take some time to settle down for myself I’ll totally lose it. I’m juggling a 40 hour work week and a 2.5 year old with another on the way. That’s a huge time commitment. And unless I want to go without sleep (and I can’t write well or edit well like that)…that doesn’t leave me a lot of time. I guess I’m in a hurry…but I seem like I’m in a hurry going nowhere. 2.) Have a few conversations with those few writers I know who are farther along than me. 3.) Decide if I want to go straight traditional publishing with this novella and submit myself, go ebook with Kindle (I don’t think iBooks is far enough along yet) or get an agent and let them figure it out. (I like the last option most of all because it frees me to start writing more and not worry about the rest). The other thing that’s a personal goal? I’m trying to learn how to actually focus on people around me instead of being so inwardly focused. It’s probably a result of too much My Little Pony, but I’ve been feeling lonely lately…but I don’t know how I can add trying to make friends to my insane schedule as it is. But something cool is happening this week! Laura and I are heading to Video Games Live at the Verizon Amphitheater in Irvine. We’re actually having a date night for the first time in like a kazillion years (or feels like that). So to end out tonight’s blog, I’ll give you the trailer for it. It’s pretty awesome. I’ve had to chance to go to the show at Comic-Con 2008 and Blizzcon 2008. I can’t wait to see a full-fledged one! I’ll post more about that next week. Until then, good luck and have fun! Yesterday I finally submitted “Waterfall Steps.” It’s my entry for the OC Writer’s Anthology (https://www.facebook.com/groups/OCWriters/). The whole point of it is to help fund the “Offices of Letters and Light,” the folks who run NaNoWriMo. I’m not sure about details, but I’ll keep you folks updated as I go. I don’t have a synopsis yet, but I’ll have it soon. I’ll make sure to post it. Now, I don’t know what I’m working on yet. There’s a few ideas rattling around in my head, but I think what I need to do is a final edit for “Soul of the Scribe.” I’ve been putzing around with this story for way too long and now it’s time to actually do something. I’m going to do one final edit of the story…and then try and figure out what I’m going to do with it. I can’t decide if I should try and go traditional or just do a Kindle thing. 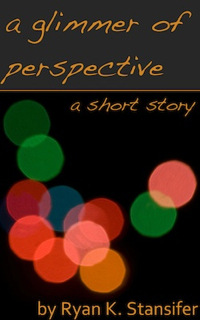 Or should I submit a short story onto Kindle just as experiment? There are a couple cool ideas rattling around in my head, especially one that managed to bond with another story I started writing some time ago. And I think this combination may make both stories work. I don’t want to give anything away…but I’ll say it’s about alternate worlds, dreams, global dominion and the future of humanity. What? Go big or go home. And to summarize my feelings about completing Waterfall, I leave you with this. 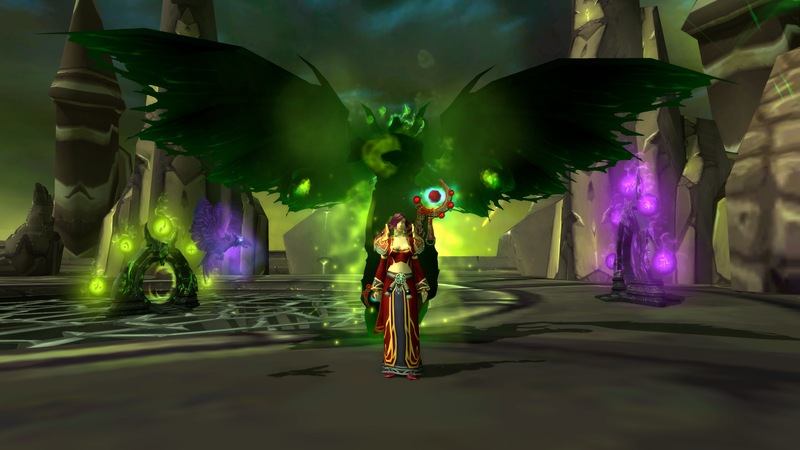 Lyssinna Starfall before the banished Kanrethad Ebonlocke, Leader of the Black Harvest.